The Decor8 DSW Birch Dining Chair and Gueridon Style Dining Table Set is a winning combination of Californian and French modernist design. This Dining Room Furniture set is perfect for smaller flats or small eating areas in need of high quality and high design. 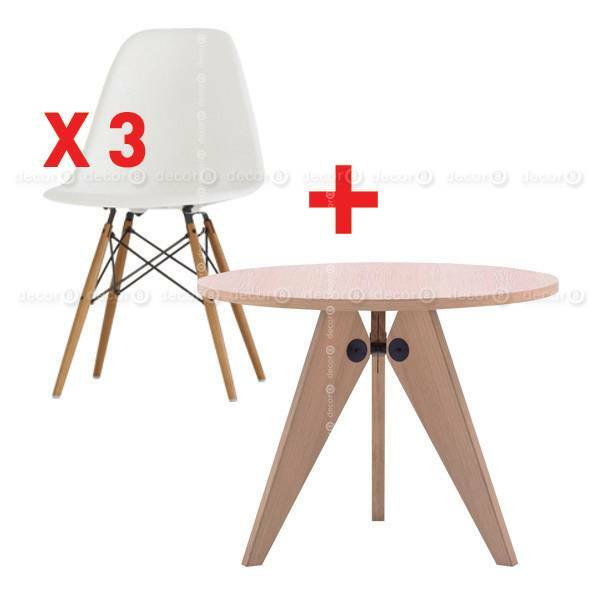 The dining table is 80cm in diameter and is paired with 3 white Decor8 DSW Birch Dining Chairs.